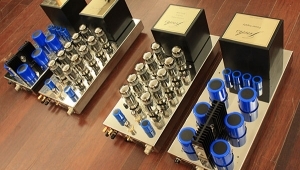 Subjectively, the Allnics provided virtually the same generous amount of gain as my Shindo amplifiers (an early Haut-Brion stereo amp and a pair of Corton-Charlemagne monoblocks). The Shindos are equipped with level controls, which prevent me from having to use all of that gain all of the time. 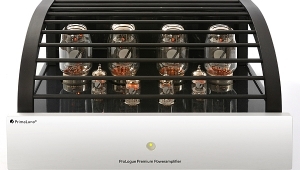 At first I took the two Allnic monoblocks to slightly differ in gain from each other, yet as the days and weeks wore on, I realized that that wasn't the case: Rather, the Allnics' high gain had led me to keep the volume potentiometer of my Shindo Masseto preamp turned to the low end of its range, where all such things exhibit poorer channel tracking than usual. 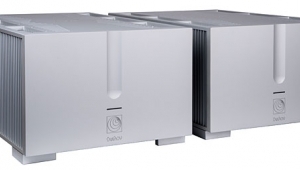 The Allnic A-5000 DHTs sounded absolutely huge: Their spaciousness and sense of scale impressed me right off. 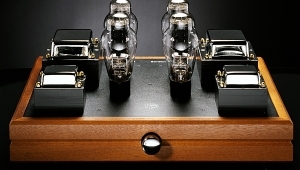 In that regard, the Allnics stand with the best amps I've heard. From the viola's opening notes in the Amadeus Quartet's 1963 recording of Beethoven's String Quartet 16 in F, Op.135 (LP, Deutsche Grammophon 138 897), it was also apparent that the Allnic is a tone-lover's amplifier. All four instruments were rich, realistically colored, and well textured through this mono pair, often transcendently so. 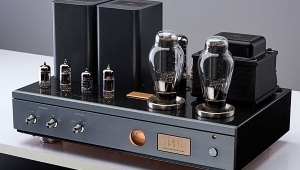 Timbral balance was slightly darker than that of my reference Shindo monoblocks, the Allnics' treble response being more rounded off. The Allnics were also a little short in their note-decay times, sounding marginally less reverberant and wet with this recording. Midway through the very modern-sounding Vivace, the Allnics proved their mettle by playing, without apparent distortion or loss of spatial or tonal poise, what is surely the loudest passage in this or any Beethoven quartet. (The more powerful and somewhat differently balanced Shindos had at least as much dynamic overhead, plus a little more sense of bounce.) Throughout the broadly paced and unfailingly moving Lento, the Allnics never lost their sense of momentumtheir ability to urge the melody along. I could detect no lack of flow, no ponderous tempos, no timing distortions of any sort in this or any of the material that followed, rock included. The Allnics didn't get in the way of the snappy, simple electric bass line of Spoon's "You Got Yr Cherry Bomb," from Ga Ga Ga Ga Ga (LP, Merge MRG 295). Much the same could be said of Marvin Gaye's "You," from the Super Hits collection (CD, Motown 3746353012). The Allnics' somewhat subdued tonal balance also helped tame the top end of the latter. With other tracks, while they maintained their rounded-off sound, the Allnic amps actually sounded more explicit than my Shindos. One such recording is the latest from Gillian Welch, The Harrow and the Harvest (AIFF file from CD, Acony ACNY 1109). On such songs as "Dark Turn of Mind," words were somewhat easier to understand, and certain musical effectsa row of pull-offs by guitarist David Rawlings, for example, in his first solo in the aforementionedemerged from the mix more clearly through the A-5000s. The Allnics' sense of impact was superb. When drummer John Bonham makes his entrance in that peculiar live version from 1971 of "Stairway to Heaven," from Led Zeppelin's BBC Sessions (LP, Atlantic/Classic 83061-1), the effect was wonderful, full of drama and tension and sheer force. 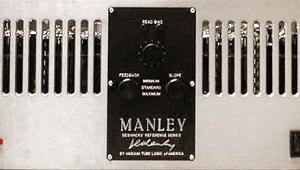 Bass fullness in that track was also fineyet the overall sound was conspicuously clean and clear, with no smearing or excessive overhang. Subtler sorts of force were communicated equally well, as with the feel of Nick Drake's steel-string acoustic guitar in the title song of his posthumous album Time of No Reply (LP, Hannibal HNBL 1318). Apart from their very good scale, the Allnics' spatial presentation was a bit recessed compared to that of my Shindos. 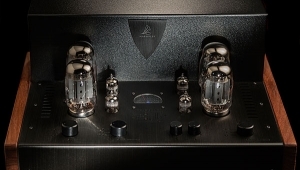 I found myself wondering if perhaps that quality had something to do with the amps' slight darknessa quality that, over weeks of listening, I came to think was more noticeable with female voices than with anything else. Dame Janet Baker, for instance, sounded darker than her usual self in her recording, with Sir John Barbirolli and the London Symphony, of Elgar's Sea Pictures (LP, EMI ASD 655). 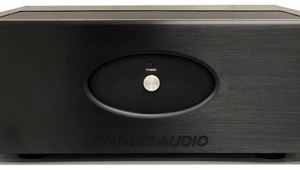 I confess, I also found myself wishing her voice had come through with just a bit more presencethat quality I tend to associate with the finest 300B amplifiers. A snapshot of the Allnics at their best? For that, I'd refer back to an LP of string-quartet musicin this case, the well-loved 1960 recording by the Juilliard Quartet of Schubert's Quartet 14 in d, D.810, "Death and the Maiden" (LP, RCA Living Presence LSC-2378). 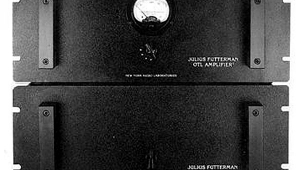 There they went beyond the fine tone and texture they exhibited with most recordings, and dug right down to the bottom of it all: a clear, unrestrained, altogether compelling playback the likes of which have been known to get audiophile hearts a-thumpin'and, perhaps, checkbooks a-scribblin'. 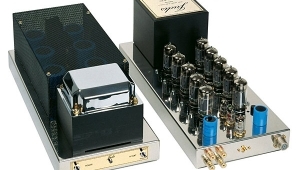 That brings to mind the predictable question: Can a pair of these amplifiers really be worth $19,900? 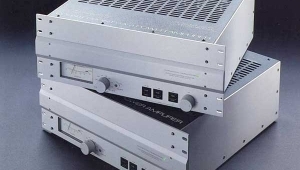 As John Atkinson suggested in his recent review of the Lamm M1.2 monoblocks ($23,890/pair), the prospective buyer might consider that significantly more expensive amps are no longer quite so rare, crazy though that sounds. 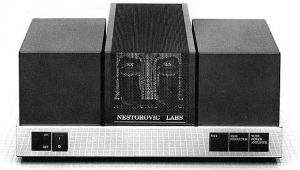 Whether an audio product has established itself as a classicor appears to have the potential to be onemay also be germane. 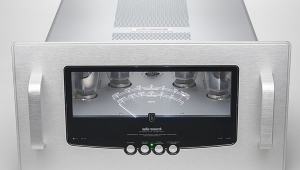 The Allnic A-5000 DHT hasn't been around long enough to be a classic, but it has already succeeded at recasting the classic 300B sound in a manner that I find both beautiful and compellingly explicit: It's a fine, fine amplifier, and its departure from my home won't please me at all. Recommended. 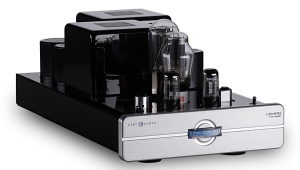 This is one of the best articles I have read by a Stereophile reviewer in a long time. 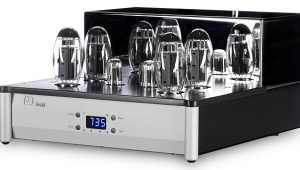 Just having these amps in the house for a test run would impart a sense of joy.